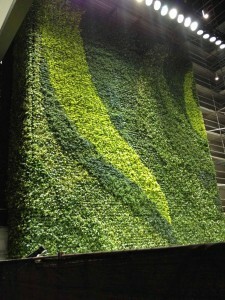 Beautiful green wall compliments building design. 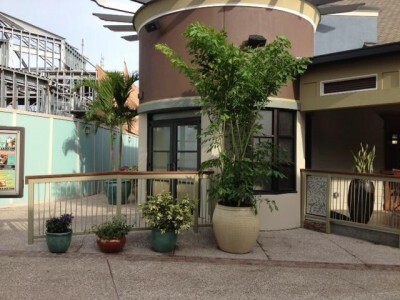 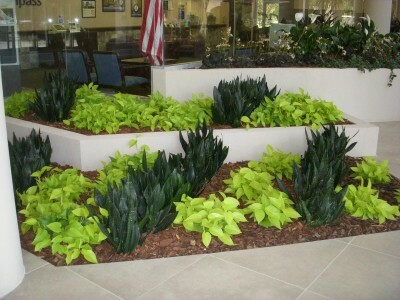 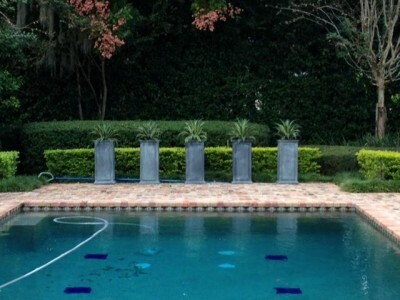 Plants and containers provided by Foliage Design Systems of Central Florida. 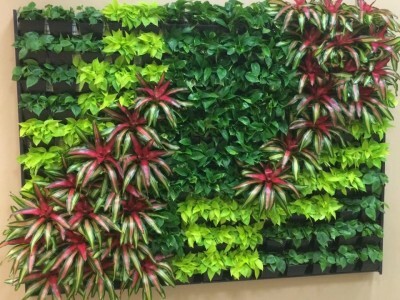 Green wall transforms blank wall into living art! 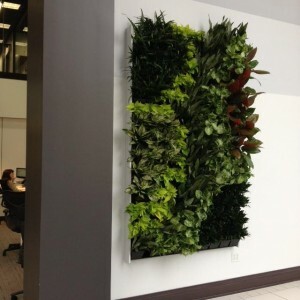 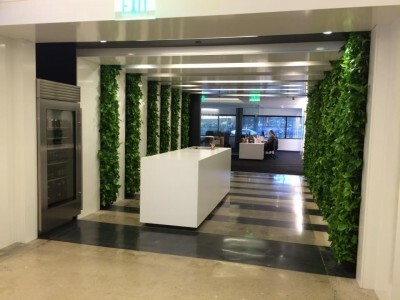 Living walls breathe life into a workspace. 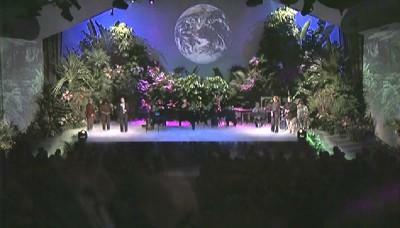 Northland Community Church – Garden of Eden special event. 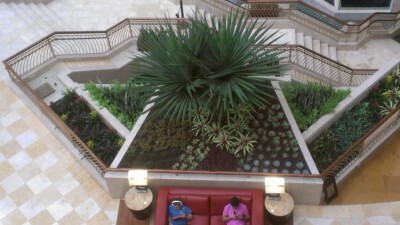 Tropical live plants re-create Garden of Eden. 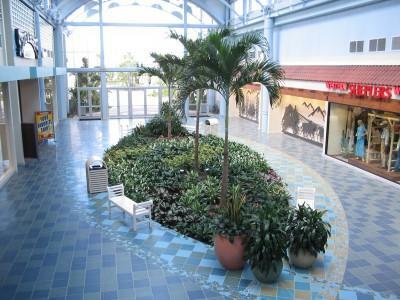 Colorful underplantings and topical palms bring this mall to life!